Hey, welcome to my web site. I've added some pictures, tips and software recommendations so click on the links below, "My videos...," "My Pictures..." and "Tips..." to see the latest additions. Some of you have commented on the picture flag of the kids we have on the front of the house. Here's a link to the website we got it from. They start at about $20.00. Click here for my latest pictures and video clips. Click here for my tips, tricks and personally recommended software picks. I added some new free recommendations. 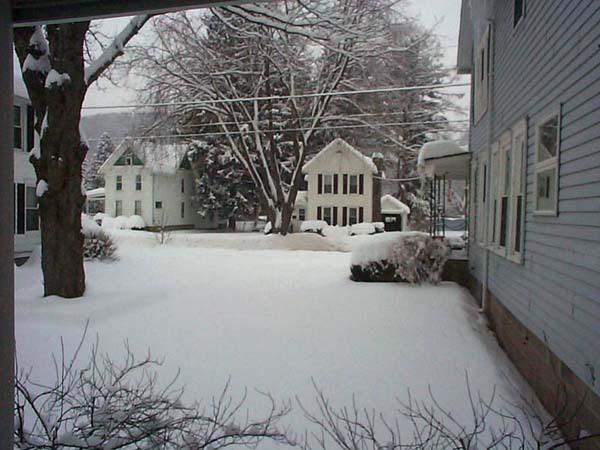 Winter in Chenango County NY. Autumn in Chenango County NY. Questions, comments, or just to say "Hi," email me. If you like the site, help me keep this web site and info / links online by using the ads above to shop online. Thanks! All content copyrighted 2006-2012 by Jim Siefert. Used by permission only. Links above may take you away from this web site and to other independently owned and operated web sites. There are no warranties implied or otherwise. Use of these other services/products is at your own risk.